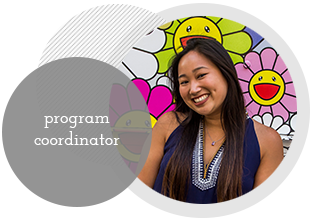 Starting off in the nonprofit world, Catherine has three years of experience coordinating and planning special events. She has worked closely with vendors and clients to produce both large and small scale programs. Though she may be relatively new to the event world, she has already started to build many relationships throughout the industry, which allows her to trust the vendors that are suggested. She has a passion for international travel and adrenaline pumping activities, which allows her to plan fun, thrilling, and memorable activities for groups to enjoy. As a Chicago native, she is always in touch with the new and exciting things the city has to offer.